When I first read The Art of Possibility, it was an awakening for me into another way of being in the world. One that felt more free and expansive and much easier and enjoyable than the story I had been living out of. One of the key takeaways from this book is the idea that we can choose to look at life from different perspectives, and these perspectives can instantly and immediately provide relief. I’ve had fun playing with this idea over the past five years. 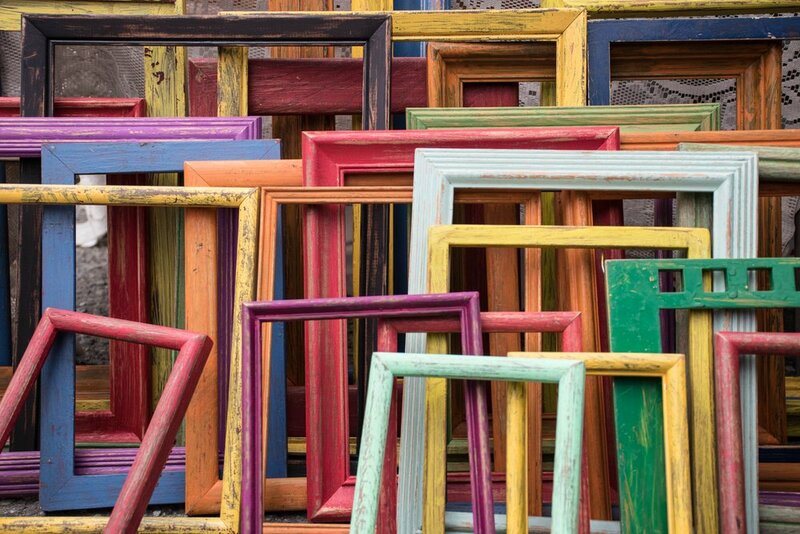 Based on neuroscience, we can see that we reach an understanding of the world through the frame of our consciousness. According to Zander, “The world comes into our consciousness in the form of a map already drawn, a story already told, a hypothesis, a construction of our own making.” That frame is often formed in childhood unconsciously. Even thought I’ve been practicing mindful awareness for a few years, I find that I am still living out of cultural and familial stories that I was not aware of until I uncovered and looked at them. However, this is why things can shift so suddenly though when we do adjust our maps or create new categories. Our brain then seeks coherence with our new story or belief, gathering evidence to prove it to be true. Since our minds string together events into a story in order to make sense of the world, even when there isn’t really a connection between parts, we might as well use this to our advantage to live a happier life. Creating a new story or frame or map to live out of can dramatically shift what we believe is possible. So when we notice the stories that underly our hidden assumptions, you can break free of the box that they create for you and draw something that is more aligned with what you envision for yourself and those around out. But those stubborn old beliefs and stories seem to keep coming back at the most unfortunate of times! I’ve heard Jess Lively describe the mind’s attempt to hold onto beliefs and stories even harder as an extinction bark. Evidently in dog training, when you teach a dog a new behavior (like barking for no good reason), sometimes the old behavior becomes worse before a new one is adopted. So too with our mind and body. Because stories are often tied to an egoic identity that has served us well in the past, it can be scary to let go or to step into the unknown of a new story or way of being in the world, so we hold on even tighter. I’ve also heard it described like the Japanese loyal soldiers who refused to believe that WWII was over and stayed on their jungle island manning their posts for up to 29 years. 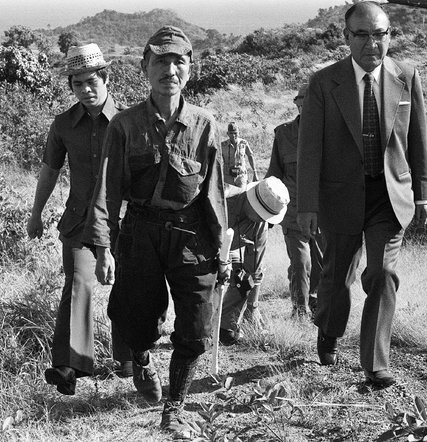 (See the NYT article on Mr. Hiroo Onoda here.) Their belief in their duty to their country required they survive in difficult situations despite evidence that the war had ended. And they continued to fight with villagers and rescue parties because they held onto that belief so strongly. In order to let go, these soldiers required official orders from the authority they were so loyal to. I think we do that sometimes too, without realizing it. In his book Soulcraft, Bill Plotkin describes the idea of the Loyal Soldier as “a courageous, wise, and stubborn sub-personality that formed during our childhood and created a variety of strategies to help us survive the realities (often dysfunctional) of our families and culture. It keeps us ‘safe’ by making us small or limited or by further traumatizing us. It is the intra-psychic element that shovels chunks of our wholeness into our Shadow so that we will appear acceptable or invisible to the powers that be.” This idea is also consistent with the Enneagram’s perspective of personality formation and our essential selves. Just understanding this dynamic can offer insight and allow us to relate resistance without judgement when it does show up. For other perfectionists, it turns out that this is part of the human experience and not a personal failing! One of the most powerful things I read in the intro of the Art of Possibility is the idea that transformation happens not by arguing with the status quo. But rather by “generating active, ongoing practices that shift a culture’s experience of the basis for reality.” This, I believe, is how we will recover from the ugliness brought out in the 2016 US elections. And how we will make progress on climate change. And how we will fight industrialization of our food and toxicity in our products. Not by making incremental changes based on old beliefs. Not through the hard and ongoing work of self-improvement. But through a fundamental shift in perspective and thought and practices that can transform the world.